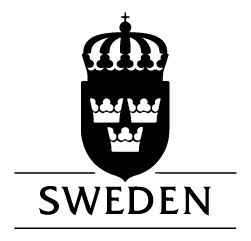 The Tenure Facility is an international foundation registered in Sweden. We own and manage www.the tenurefacility.org. We are committed to protecting the privacy of our visitors and donors and handling their personal information with the utmost care and respect. We will never sell, rent, or exchange your information with anyone, and you may opt to remove your information from our lists at any time by unsubscribing here or by sending an email to communications@thetenurefacility.org. We do not process any financial transactions through the Tenure Facility website; this means we do not collect any financial information such as credit card numbers or other methods of payment. We also do not charge any fees to access, use, or download any resources from our website. We use your personal information to send you email newsletters, email notices and surveys. Occasionally, for the purpose of improving our communication methods and the quality of our content, we will use the data we have gathered to conduct internal analyses, such as analyzing the distribution of our audiences across regions and thematic areas. We do not host advertisements on our websites and will never share your information with advertisers.